Poor organizational risk management strategies. 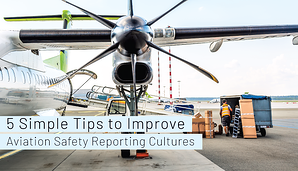 This article describes some strategies to improve your safety reporting culture. Aviation safety managers definitely require open and unequivocal management support of their aviation SMS. After all, this SMS thing is the accountable executive's ultimate responsibility. The accountable executive is responsible for making sure the SMS is implemented and functioning as designed. When safety reporting numbers are low, then this indicates the SMS is not performing as designed. This is that dreaded accountable executive "bonding moment" where the safety manager and the accountable executive have their "come to Jesus" meeting. At this meeting, the safety manager learns where the accountable executive's real priorities lie. Does he care about safety reporting metrics? "Come on," he says. "How bad can it be?" What Are Low Safety Reporting Metrics in Aviation SMS? Instead of telling you what are bad safety reporting numbers, it may be easier to tell you what are good, healthy reporting metrics. You can then judge where you are. Healthy reporting cultures will have monthly safety reporting numbers between one report for every ten to twelve employees per month. Where are you? If you have 300 employees, you should be getting about 30 safety reports per month. roll up your sleeve and tackle this performance issue without bothering the accountable executive. he is responsible for SMS performance. What are possible solutions to improve reporting numbers? Safety cultures are nebulous entities that are difficult to describe in ten words or less. They are also very difficult to change and require several months to detect trends indicating performance improvements. Below are five quick tips to improve your safety reporting culture. There will never be a silver bullet because the dynamics of aviation service providers are different. Initial SMS training, as well as recurring SMS training, should instruct employees of the various avenues that the aviation SMS can receive reported safety issues. 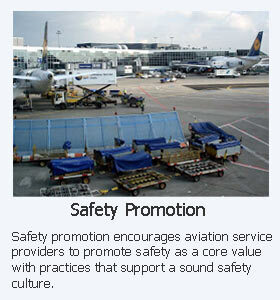 All employee safety indoctrination and training should also be documented for future aviation safety audits. Safety training should include hazard identification training. Many employees do not now the difference between a hazard, risk or control measure. They need training on what types of safety concerns management is interested in. Once employees report their safety issues, you should provide follow up and thank employees for reporting the issue. This reinforces positive behavior. Conventional safety programs offered no feedback to employees. They would submit a report to a Web-based system or drop a paper-based report into a box. This was the end of their involvement. This is not a best practice. This type of safety reporting system is sterile and ineffective for repeat reporting. What is in it for the employee when they receive no feedback? Let employees know what to expect once safety reports enter the aviation SMS. A best in breed practice is to routinely distribute aggregated safety reports to employees to demonstrate their impact on organizational safety. "Your safety report matters. Help us stop "The Accident." Mature safety cultures also benefit by explaining the reporting and investigation processes to all employees. Whenever employees are expected to participate in aviation SMS, they will need to feel safe and protected. If your organization doesn't have a communicated non-punitive reporting policy, you should implement one immediately. Otherwise, you can expect very few reported safety issues. An SMS will never perform as designed in a "blame culture." Safety reports are the critical elements necessary to shore up risk controls to avoid "The Accident." Non-punitive reporting policies offer assurance to employees against retaliation and also strengthen safety cultures. Signs and posters remind employees of their options when it comes to reporting hazards and events. Coupled with SMS training that teaches employees which types of issues you want them to report, constant reminders continue to bring safety to employee's "top of mind" which potentially causes them to remain vigilant of hazardous conditions. If you have a healthy safety reporting culture, they will then feel compelled to take the necessary steps to reduce incidents and accidents. When you hang posters, a recommended best practice is to switch out your posters on a quarterly basis. This helps avoid employees becoming so acclimated to the safety posters that they no longer see them. Applying one fix and immediately hoping for an improved safety culture is not realistic. Changing attitudes and regular behaviors require time, often years. Expect six months to a year to begin seeing results in changing your safety reporting culture. Finally, if you never start, you will continue to suffer a substandard safety culture. You may pass a few SMS audits, but your SMS will fail to reap all the benefits of a healthy SMS. Employees need protection against retaliation from management when reporting safety concerns. Non-punitive reporting policies have been designed to protect employees. Here are some useful template for your SMS.